Remember my first tip for vlogging? This post is a continuation of that. 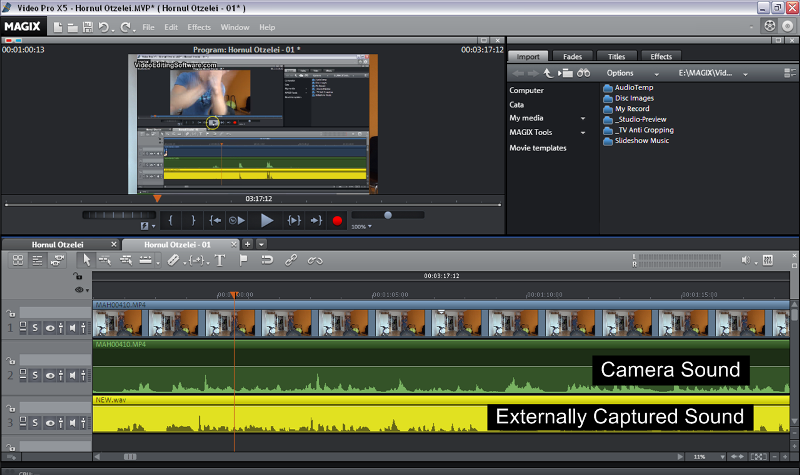 Namely, capturing good sound and synchronizing it with the sound from your camera in your editing software. Audio being the core of your vlog, you have to get it right. I record my sound on an external Sony recorder and a lapel mic. That's because the camera that I use (Sony HX9V) doesn't have a mike jack input. So if I'm too far away from the camera, or if it's too windy, the sound that I get from the camera's microphone is either too weak or useless. If your cam has a mic input then you can simply plug the microphone into the camera. There are also wireless sound solutions but those that are really good are just too expensive for me to consider them. Plus, what I do is rather small scale and niche oriented so reasonable sound is good enough (with a bit of extra work in post production of course). You might wanna clean the sound and take out the hissing but that's not mandatory. If the sound capturing device you have is high quality, you won't get any background noise. I do get some hissing with mine and I usually silence it it with a little app that comes with my video editing software. Another great item you can have is a jack splitter. With this you can plug two lapel mics into your recorder thus you can record the two speakers (the interviewee and the interviewer). Be careful though - the voices will be merged into a single file so if you speak both at once you can't do much about it. If you want to take things further when recording a video where more people are speaking, you could record each speaker on a different sound device or you could get a recorder that handles sound on multiple channels - thus getting an audio file for each channel. You don't necessarily need to manually align the two sound tracks. You can use the automatic function of the editing program (Magix Movie Edit Pro Plus). Simply right click on the original sound of the footage and select Align other audio objects with this track. The program will then sync your separately recorded audio to the footage audio. Hope this helps. Get Magix and do it too. Happy vlogging!